As an insurance provider, the FNOL process might be the first direct contact with a policyholder. That first touch can make or break your relationship with the customer. When an asset is lost, stolen, or damaged, the First Notice of Loss (FNOL) report is created and sent to the insurance provider. Sending an FNOL to the insurance provider is the first step that takes place during a formal claims process lifecycle. How the FNOL process is handled significantly impacts customer retention and the customer experience in insurance. The FNOL process is important because it provides the insurance provider a chance to deliver superior claims service, and hopefully leave a strong enough impression on its customers that the insurance company sees improved post-claim retention. When this claim service exceeds the customer’s expectations, it can leave a lasting impression that results in customer loyalty (NPS). More so, when handled correctly, it mitigates having to perform callbacks, which further inflates costs and extend the claims processing cycle. Having an effective claims-handling process in place helps providers set themselves apart from the competition, which is of the utmost advantage in today’s competitive market. Now, more than ever, customers want their claims handled at their own convenience. Providing, agent guided service and self-service options allows a straight-through claims process to be achieved and it reduces complexities that are often associated with claims processing. When integrating fast-tracked claims with effective notice of loss organization, a provider can transform all of its claim-handling activities, reduce NIGO documents, and align the claim with the most suitable resources. The first time an insurance company will come into contact with a policyholder for a claim is when a is when the FNOL is filed. From here, a smooth claims-processing strategy should be in place that allows the claim to be handled both effectively and efficiently the first time around. Much of the time, though, filing an FNOL begins a long cycle of inconvenience. A major contributor to this inefficiency stems from the fact that many insurance providers are first notified of a claim via telephone, when a policyholder or their agent calls the claims contact center. In today’s society, customers want their claims to be handled efficiently and with the utmost transparency. Modern technologies allow for this to occur thanks to advancements in intuitive and automated tools. However, when using legacy systems that require the customer to print and scan documents, or visit a website, providers are presented with issues surrounding an inability to accurately capture and share pertinent claim-related data – especially when speaking with policy-holders on the phone. By refining current FNOL practices, providers can create a lean process that harnesses digital technology combined with advanced analytical claim solution tools. In doing so, insurance providers can better manage claims and reduce claim-handling expenditures. Insurance companies should focus on accelerating the FNOL and the entire claims processes. Enables agents to efficiently collect and store customer data and access it on an as-needed basis. Using in-call solutions, agents should have customers sign policy documents and even use customer forms that are tailored to expedite the authorization process. This means even when agents are not face-to-face with clients, they can have a thorough view of the entire claim and make on-the-spot decisions regarding the next steps that needs to take place to process the claim. To strengthen and improve the customer experience during the FNOL process, you’ll need to start by taking advantage of today’s advanced technologies. Lightico provides a solution that allows you to digitize the intake process. 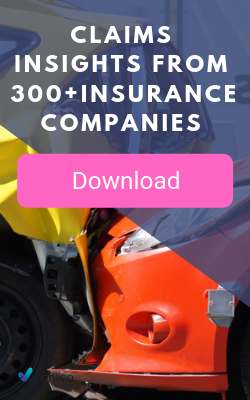 This ensures claims are routed both properly and immediately after being received, which is particularly beneficial for both claims’ cycle times and outcomes. There are several questions you’ll want to ask yourself to ensure you have a strategic FNOL process in place. For starters, do your customers have the ability to file an FNOL claim through a smartphone or mobile device? Customers have a high preference for being able to interact with their carriers through their own channel of choice. They also want 24/7 access to a multi-channel-compatible interaction interface that allows them to not only submit claims but to also view their statuses in real time. Still yet, in-person and voice communications are still imperative to the FNOL process. 82% of customers want to have both mobile and in-person communication methods available when filing a claim. During a disaster, most customers will only have access to their mobile phone. Insurance companies should design their FNOL process to accommodate for the fact that disaster-impacted customers will most likely call into the claims center and only have their phone to help them during their time of need. Lightico gives your customers the ability to file a claim through various channels. Agents can digitize data collected through the FNOL process regardless of the intake channel and begin the claim segmentation process immediately. This leads to faster claims processing and happier customers. Another question to ask yourself is do your customers have the ability to provide information to your agents by simply taking a photo and uploading it to a platform? Lightico offers instant customer onboarding and makes it simple for a customer to snap a picture and upload it for the agent’s use. They can even provide digital signatures on documents to speed up the claims process. Furthermore, you need to ask yourself whether or not your customers can obtain real-time feedback from agents when starting a claim. This feedback should be available through a streamlined manner that takes the hassle out of completing the FNOL. Lightico makes it possible for customers to view everything from acceptance verification letters to real-time status updates on their claims. They can even log in and add data when they receive missing information alerts. Lastly, do your agents have the ability to easily accept new claims once a claim is in progress. This is going to require that all systems related to receiving claims are interconnected. Lightico easily integrates with your existing claims-handling infrastructure, making it simple to accept new claims, review pertinent data, share disparate claims information, and provide first-class customer service. Ideally, you will have a single platform that gives agents access to FNOLs, claims worksheets, and any related reports. This allows agents to quickly accept claims, respond fast, and handle claims with the utmost accuracy. There are many ways a refined FNOL process can benefit your business. Customer loyalty will be amplified and claims processing cycle times will be reduced. Your claim mitigation efforts can be improved and you’ll notice your claims resources are better aligned with those activities that are regarded as complex and of higher value. Most importantly, your agents’ workloads will be reduced through automation tools, which results in more time to focus on your customers.